Today Apple announced that iPhone 4S sales over launch weekend topped a record breaking 4 million units. After selling 1 million units on the first day, sales reached over 4 million units after just three days. 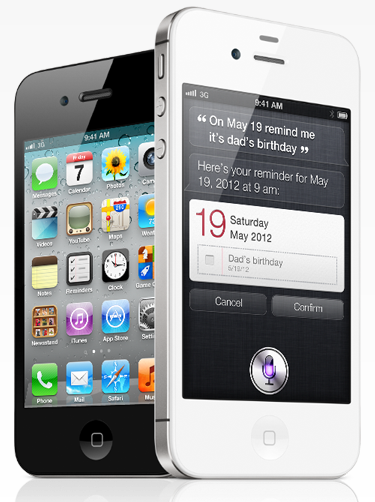 The iPhone 4S has sold twice as many units as the iPhone 4, the iPhone 4 selling 1.7 million on launch weekend. A couple more interesting facts; 25 million users are already using iOS 5 and 20 million users have also signed up for iCloud. Apple today announced it has sold over four million of its new iPhone® 4S, just three days after its launch on October 14. In addition, more than 25 million customers are already using iOS 5, the world’s most advanced mobile operating system, in the first five days of its release, and more than 20 million customers have signed up for iCloud®, a breakthrough set of free cloud services that automatically and wirelessly store your content in iCloud and push it to all your devices. iPhone 4S is available today in the US, Australia, Canada, France, Germany, Japan and the UK, and will be available in 22 more countries on October 28 and more than 70 countries by the end of the year. All three carriers (Sprint, AT&T, and Verizon) are reporting great sales and feedback on the new device, and Sprint even broke a sales record with the iPhone 4S. Apple Begins Selling Contract-Free, Factory Unlocked iPhone 4S in the U.S.